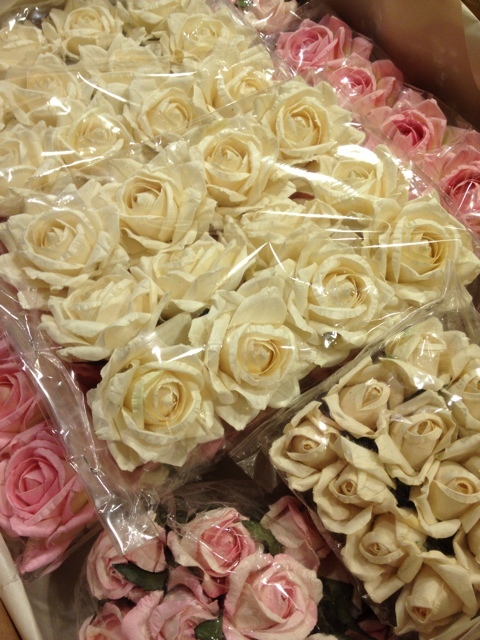 I love it when I open my boxes of beautiful paper roses!..........Sooooo pretty! What shabby chic girl could not love this eye candy? I though about decorating one of my Christmas trees with them this year, just a small tabletop tree..........what do you think? I thought of old Marie singing that song, too! A white tree with the pink paper roses - yeah!